On a bad day we are asked several times. On a really bad day, they all turn out to be trades. From Africa. We sell vintage guitars, and there’s a limited supply of them, so yes, we do buy them and we buy them from normal people just like you. Want to know how to improve your chance of getting us to buy a guitar from you? It’s not a secret, read on and I’ll tell you. There’s one golden rule when it comes to selling your instrument to us: state your price. Be upfront and honest about the amount of money you would accept in return for your guitar. Don’t expect us to tell you because we don’t know YOUR price! Remember, YOUR price is not the same as the retail price, the book price, the eBay price and none of these are likely to be the same as the price an actual buyer is willing to pay in cash money. As seller, your job is to get a price that’s high enough to satisfy you and low enough to secure that cash. Make, model, year and serial number if known. Everything you know about condition and its history (just like on Antiques Roadshow). Your price, leaving yourself some room to negotiate if you wish. Where the guitar is located, so we can arrange to examine it. If we are able to consider buying it at your price, we will ask for photographs to get a better idea of condition, before making arrangements with you to see the instrument “in the flesh”. We will progress the deal as far as we can from your photographs and description via email, but the final decision is made by our buyer after a “hands-on” inspection. This is why the location of the guitar is relevant. If you are sending the guitar from abroad, then it is your responsibility to pack and deliver the guitar to us. If it’s not as described, we will not buy it, and you will have to pay the return shipping costs. This may sound harsh, but it’s fair. All vintage Gibson guitars from the 1950s and 60s. Gibson jazz guitars or Gibson acoustic guitars from the 1970s or 80s. Guild and Epiphone jazz guitars from 50s and 60s. We don’t actively buy anything other than these. If you see something else on our site, it’s because it came in as a trade, came from our private collection, or is such a Great Guitar we couldn’t resist it. Read about part exchanges and consignment sales. We don’t buy guitars from people on eBay, no exceptions. If you intend listing your guitar on eBay, please don’t waste our time offering it to us. Conversely, if you do offer something to us, we expect you to honour your offer. We have a shop on eBay – we pay the monthly fees and consider it an advertising overhead – everything we list in the JustGreatGuitars eBay shop is available on our site at a much cheaper price. If you buy from us via eBay you are paying extra to cover eBay’s fees. Don’t even get us started on the cost and risks of PayPal! As if that weren’t discouragement enough, we do not offer a returns policy on eBay. If you read this after you bought from us via eBay, and are wondering if you can get a refund through eBay and re-purchase directly, the answer is “sorry, but no”. 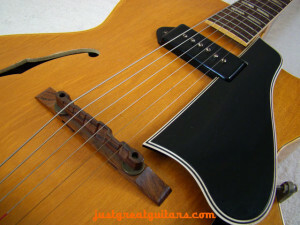 There is some good (impartial) advice about how to sell a vintage guitar (Gretsch) here. Reverb is a specialised marketplace that is a bit like eBay but for guitar gear. Caution is needed here, as you would on eBay or Gumtree, and their reach is smaller, but Reverb.com’s Vintage Guitar FAQ guide has some useful info. My guitars on that list of ones you’re not interested in, afraid the 1898 Gibson Stylo spectacular condition spectacular abalone inlay from the Gibson Gibson mandolin company in Kalamazoo Michigan handcarved curly cue all ivory tuning details.